They say not to ask how the sausage is made, but this wearable hot dog is full of deliciously simple ingredients that won’t make the stomach turn. 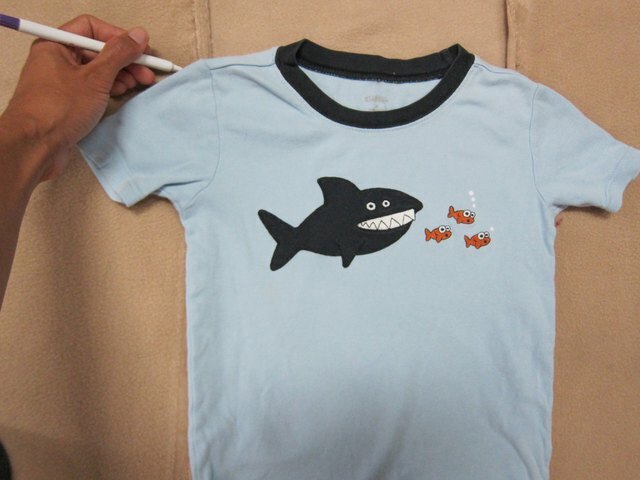 Better still, stuffed with an adorable little one, it’s sure to bring a smile and plenty of candy to its wearer. Hot diggity dog! Center a snug fitting T-shirt on a 2-yard piece of camel-colored fleece. 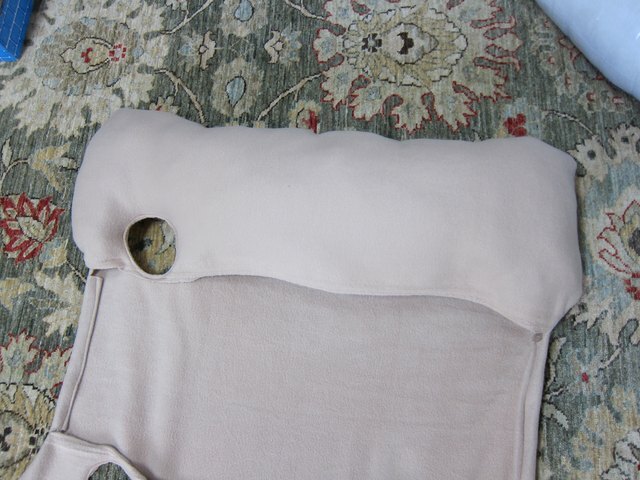 Fold both long sides of the fleece in to the shoulder points of the T-shirt, as shown in the photo. 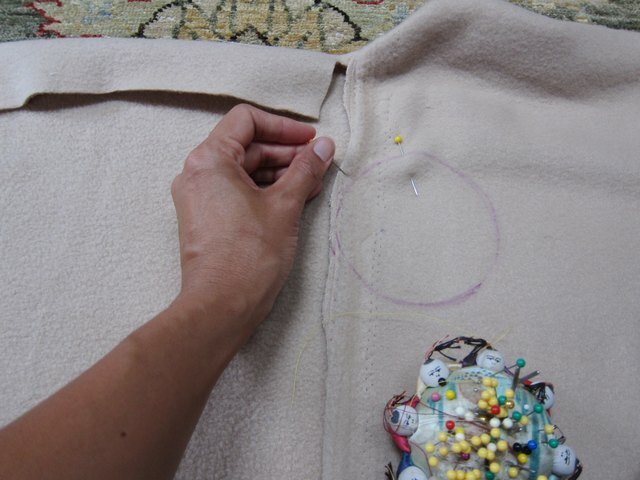 Draw 3-inch circles where the armholes will go, using the T-shirt sleeves as a guide. Using scissors, round the folded edges of the bun -- at the top and bottom. This will leave the middle part of the costume's edges higher than the rounded bun sides. Fold the top and bottom edges of the middle part in toward the center. Pin and sew the top and bottom rounded edges together, leaving the inside seam open on each side so you can stuff them later. 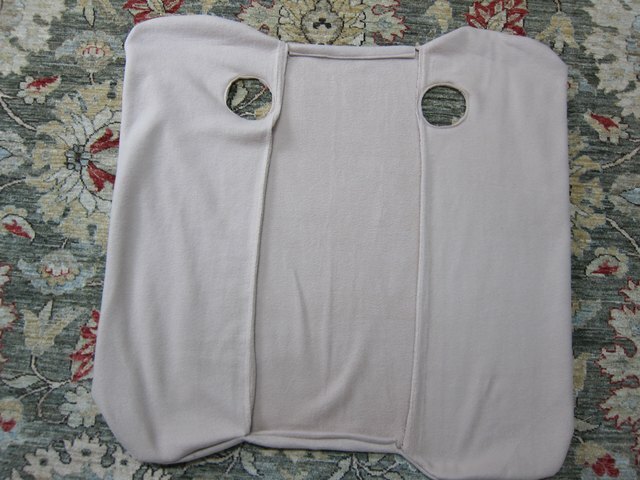 Also, pin and sew the top and bottom edges of the middle part. 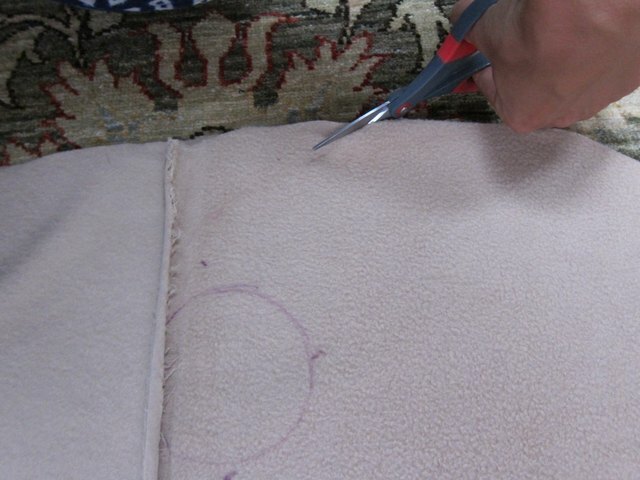 Turn both rounded portions of the bun right-side out, and pin the circles where the arms will go through. You may have to re-mark the circles with your pen. 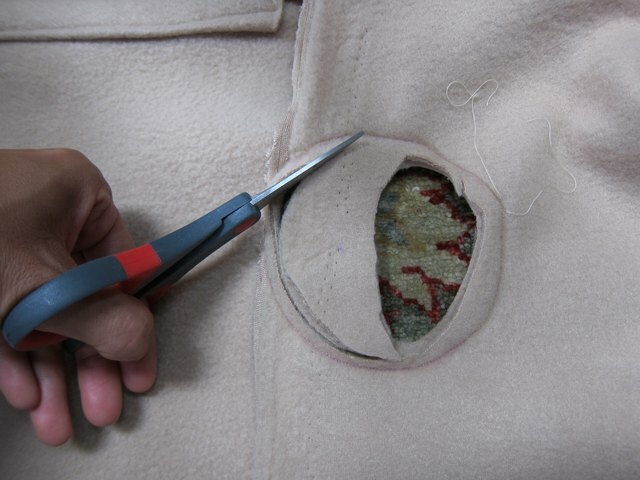 Sew on the line of the armholes, removing the pins as you go. Cut away the fabric inside the sewed line. The costume will look as shown in the photo below. Insert pillow-stuffing into the side openings. 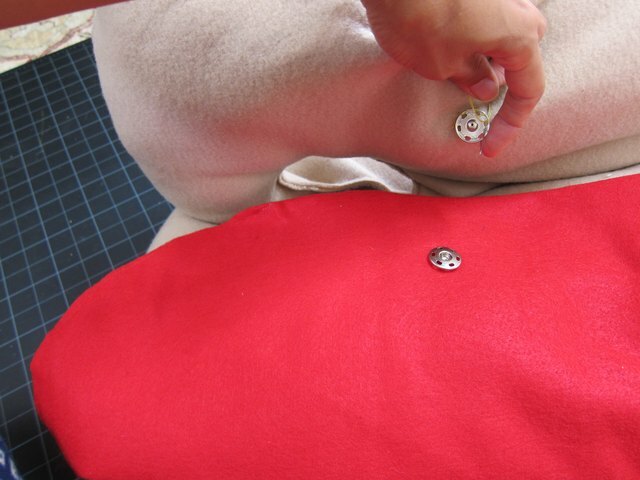 Sew along the open seams on each side of the bun. 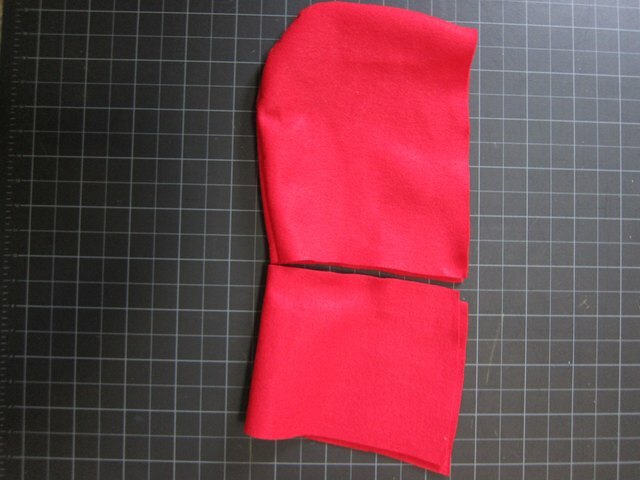 Cut two layers of red felt in a long rounded shape that is the same width of your costume wearer's shirt and a little bit longer than the bun. Be sure to round the edges to create a hot dog shape. 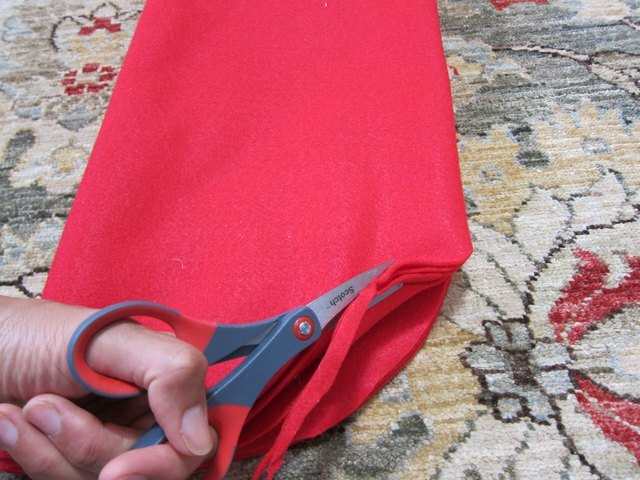 Sew around the edges, leaving a 1/4-inch seam allowance. Use a needle and thread to sew snaps or a strip of hook-and-loop fastener running down each side of the bun to attach the hot dog to the bun. 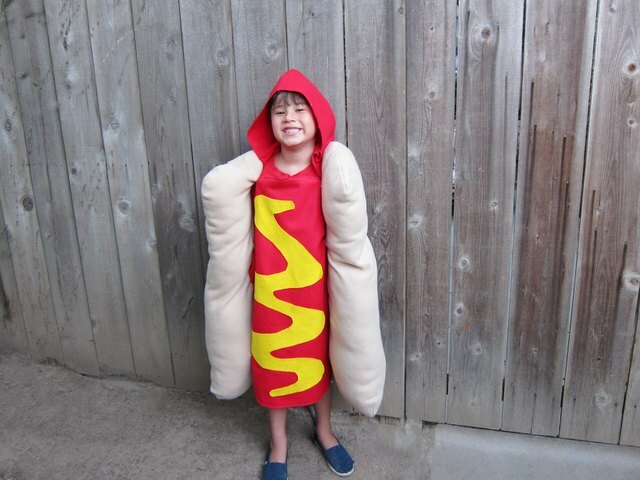 Cut out a wavy line of yellow felt that spans the length of the hot dog. 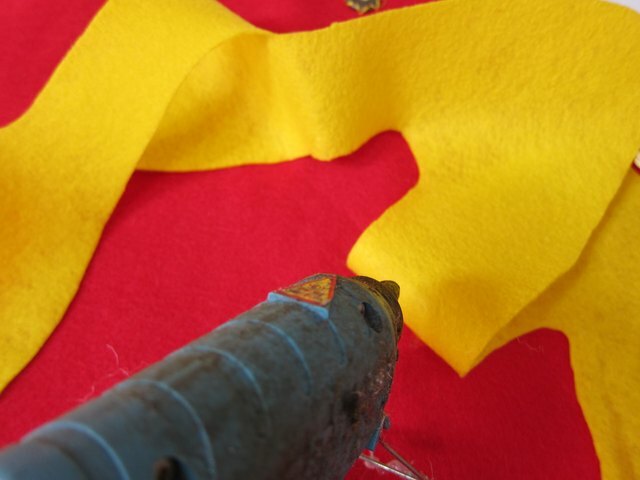 Hot glue the mustard to the hot dog, making sure the felt lays flat along the whole length of it. 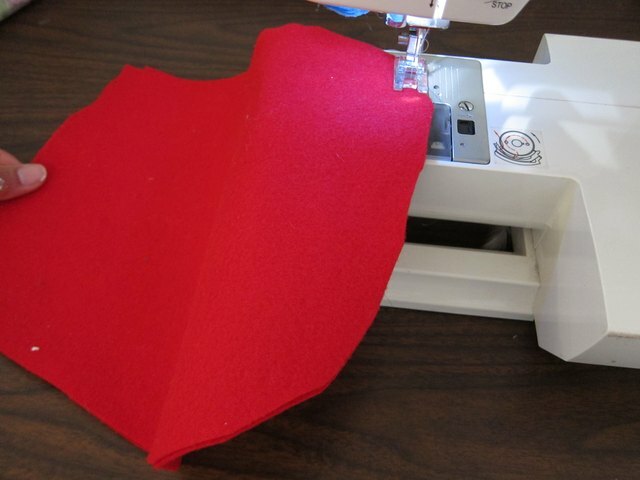 Using a hood as a pattern, cut out the hood shape on two layers of red felt, leaving a 1/2-inch seam allowance. 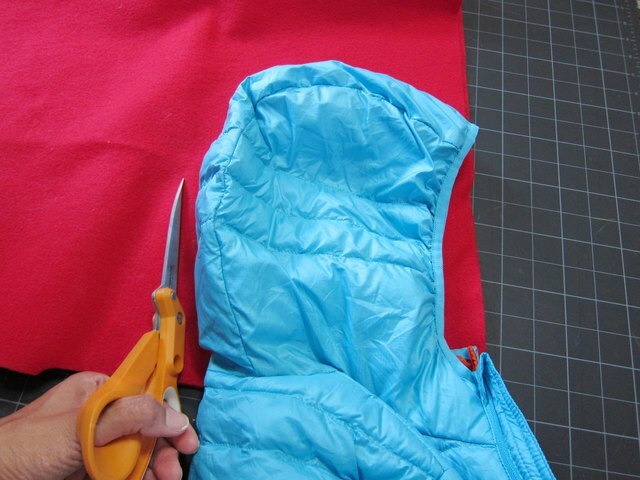 Extend the hood by adding an extra length of folded red fabric that is flared slightly on each side to cover the neck area. 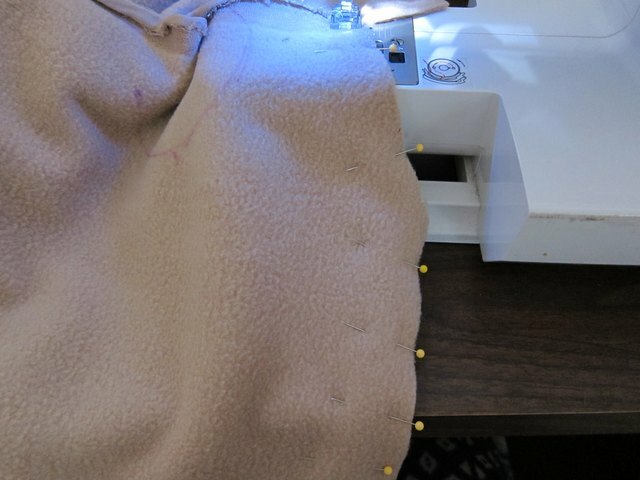 Sew the back of the hood together, and then sew the extension to the bottom of the hood. 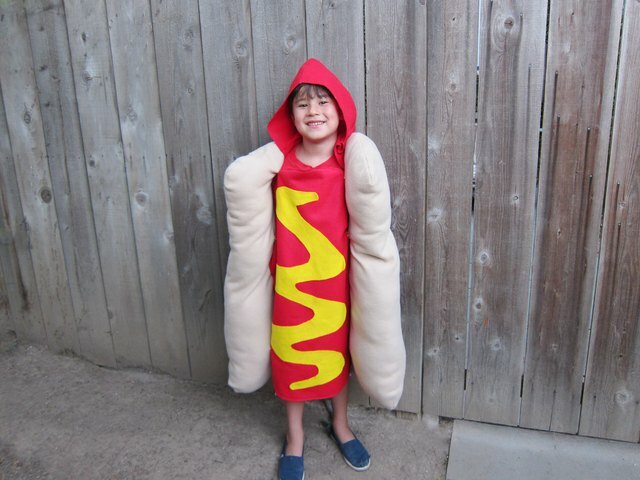 To wear the costume, put the arms through the holes of the bun. Join the attachments on the hot dog to both sides of the bun. Put the hood on and tuck the flaps into the sides of the bun.